Janmashtami is one of the greatest celebrations of India which is celebrated in the form of Lord Sri Krishna’s birthday. 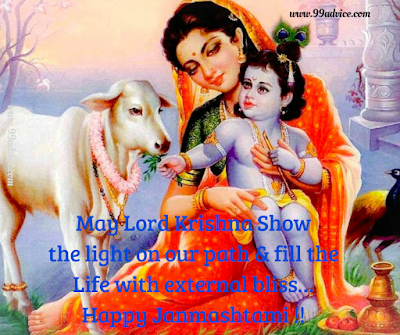 Devotees of Sri Krishna celebrate the festival grandly in their homes and temples of India. The Hindu festival, Janmashtami is celebrated when Krishna, the eighth incarnation of the Lord Vishnu, is believed to have been born according to Hindu tradition, in Mathura. 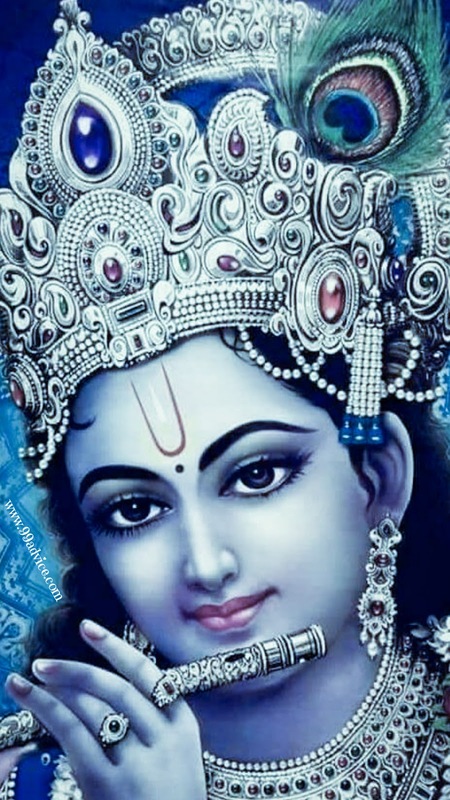 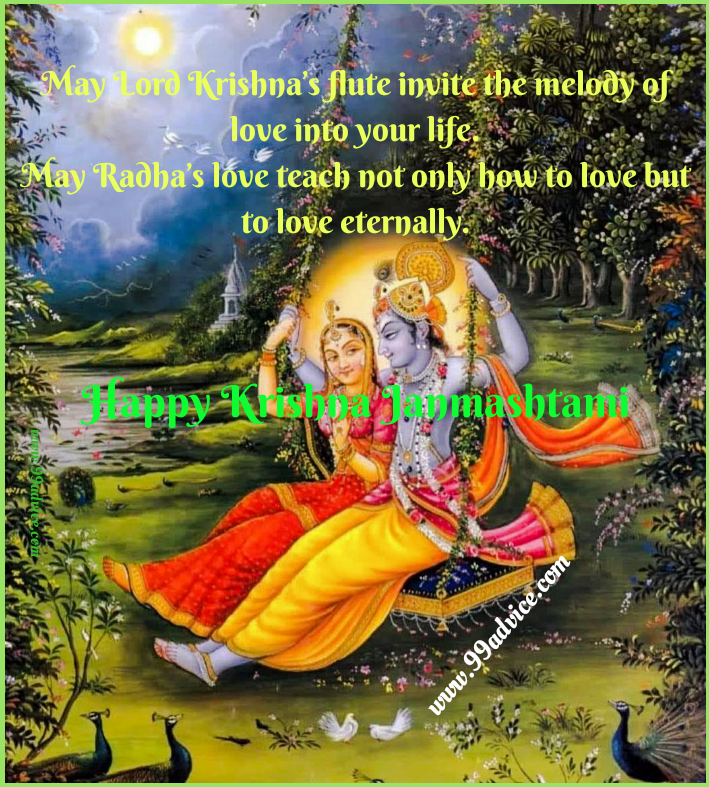 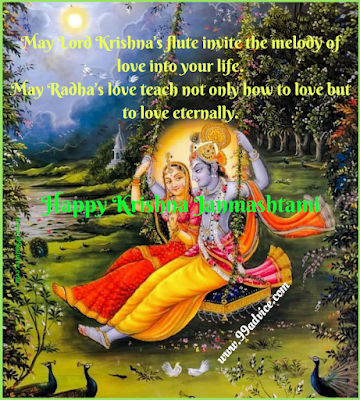 As per the Hindu lunar calendar, Krishna was born at midnight on ‘Ashtami’ or the 8th day of Krishna Paksha or Dark Fortnight, Rohini Nakshtram and Ashtami tithi of the holy Bhadrapada month (between August to September month). 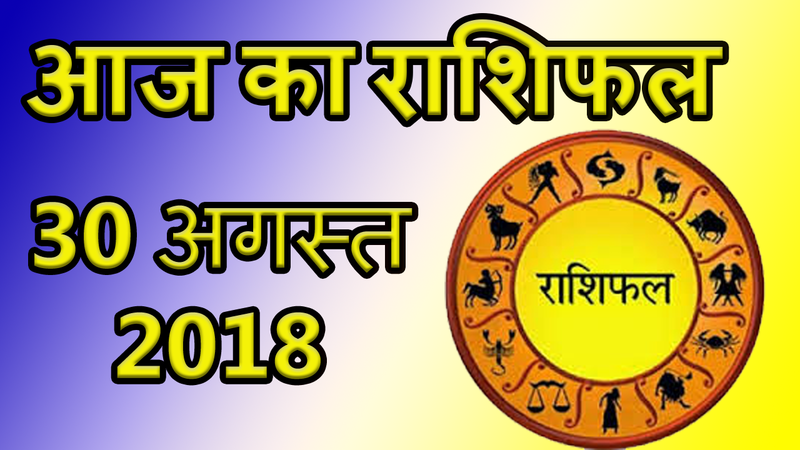 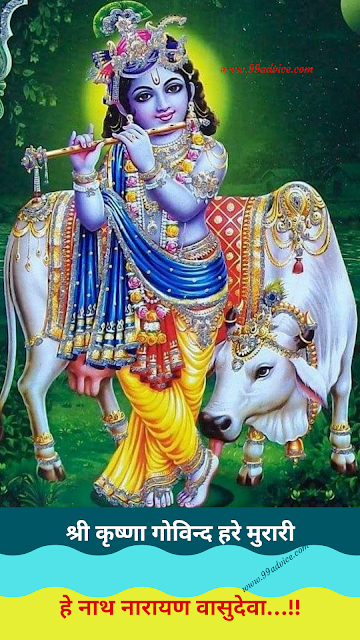 This year the festival is being celebrated on 3rd September 2018. 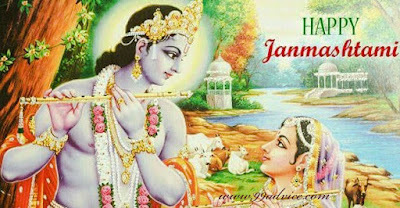 This is one of the oldest festivals that was rooted in Hinduism. The occasion is celebrated popularly in Mathura (where Krishna was born) and Vrindavan (where Krishna spent his childhood). 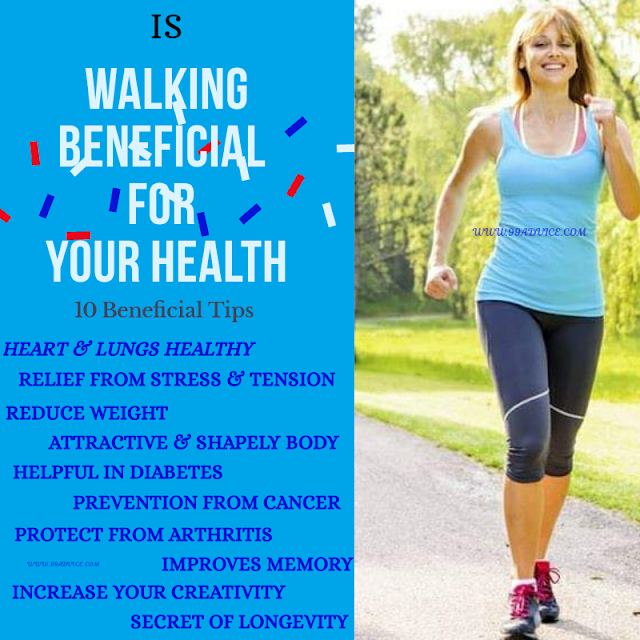 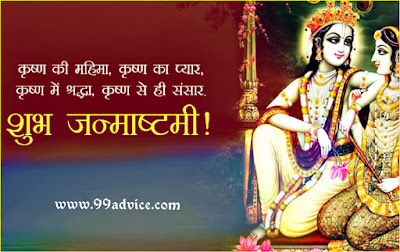 It is also observed with much fanfare in parts of Gujarat and Rajasthan and in the northeastern states like Assam and Manipur. 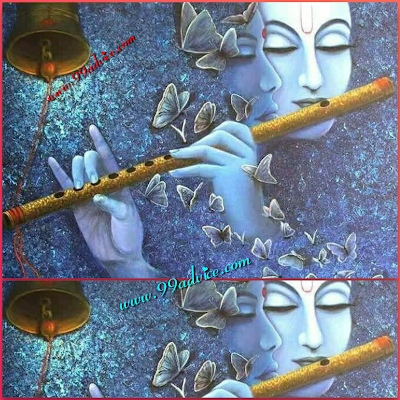 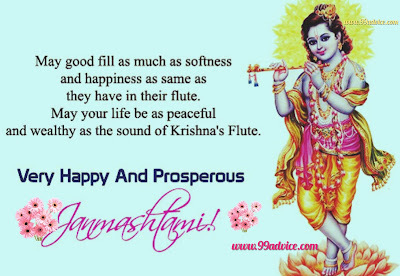 The devotional singing and chanting Krishna mantras through the midnight when Krishna is believed to have been born, pooja, fasting (upavasa), a night vigil (jagarana), and a festival (mahotsava) on the following day are a part of the Janmashtami celebrations. 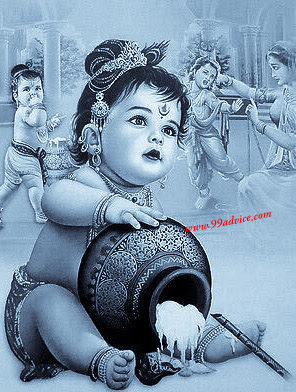 After Krishna's midnight hour birth, statues of baby Krishna are washed and clothed, then placed in a cradle and is decorated with flowers and many other decor items. 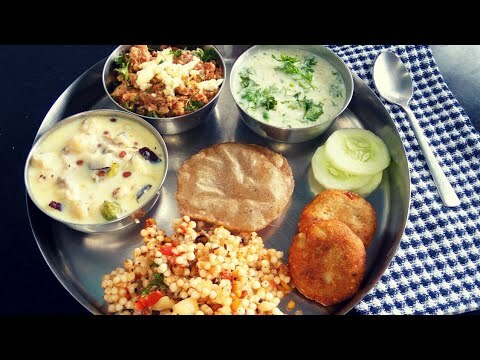 The devotees then break their fast, by sharing food and sweets. 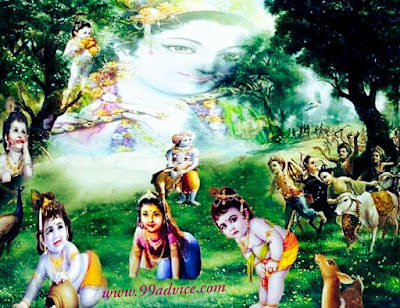 Pooja will be performed for Lord Sri Krishna in many of the temples. People used to get ready the small kids in Krishna’s get-ups. Janmashtami is one of the colorful, graceful, holy festival celebrated. 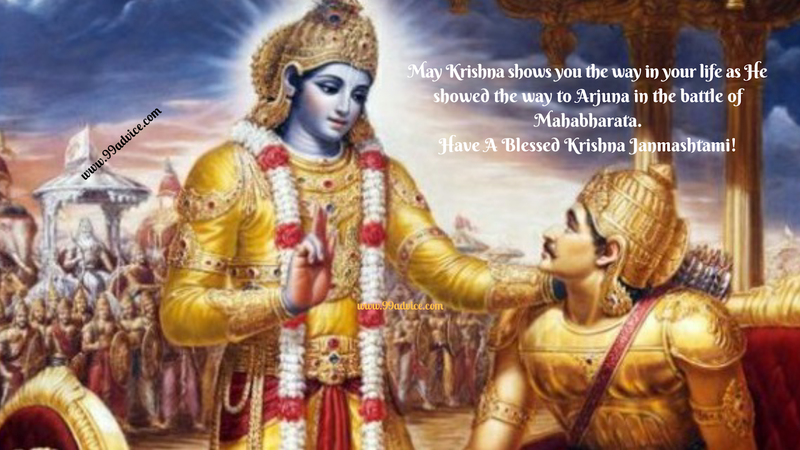 Lord Krishna, Bless You, At All Times!! 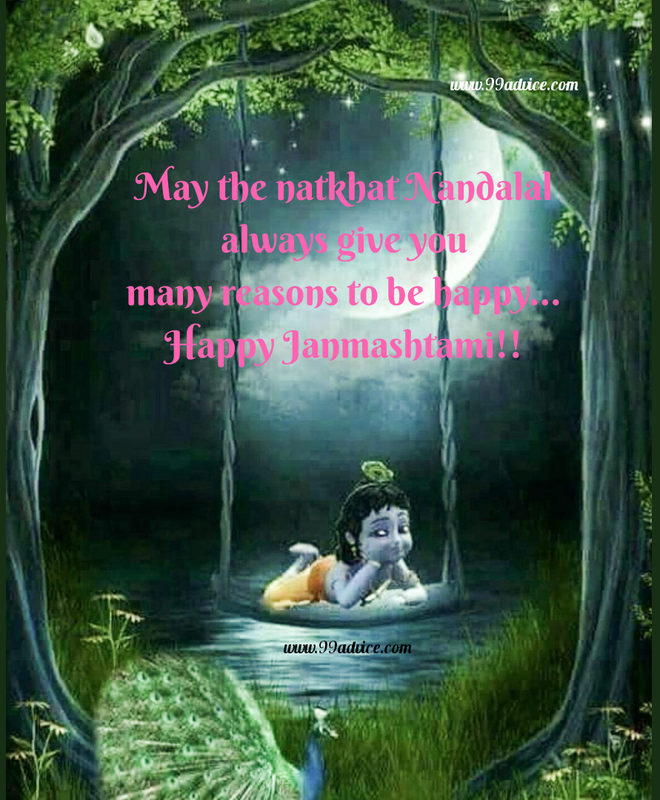 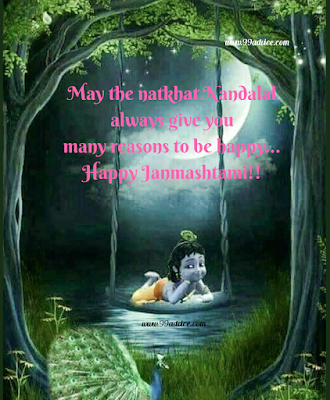 Friends, are you interested in Janmashtami wishes and messages? 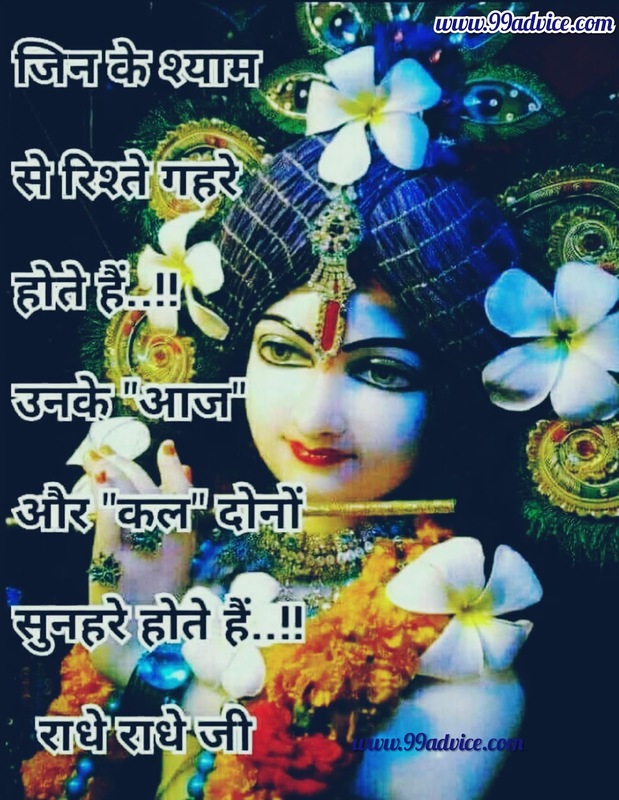 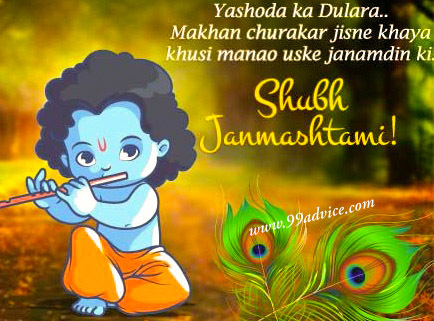 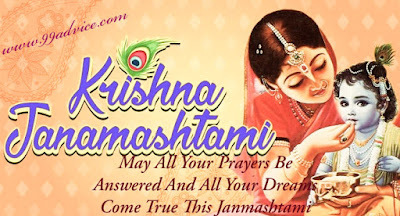 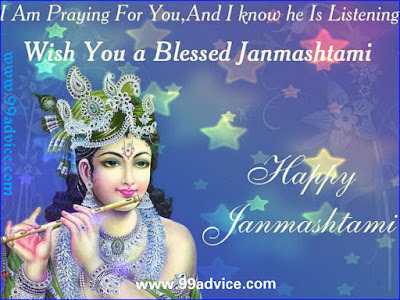 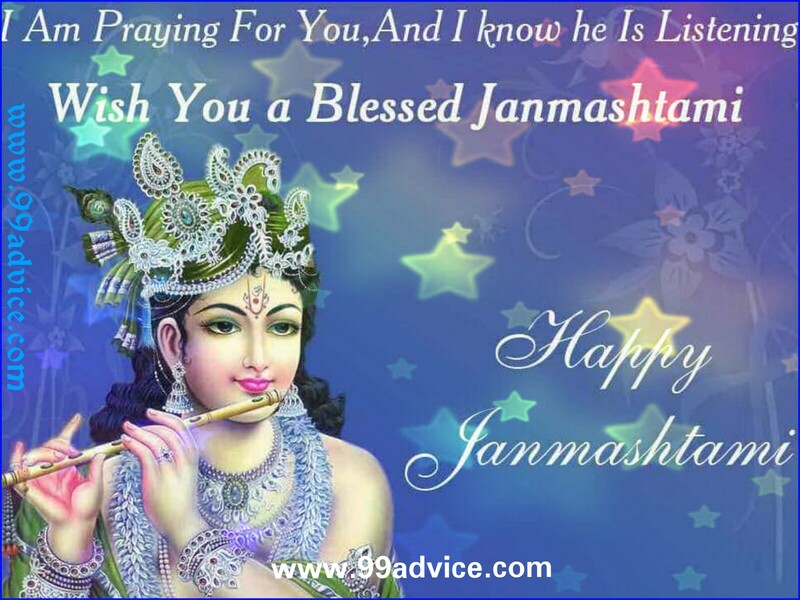 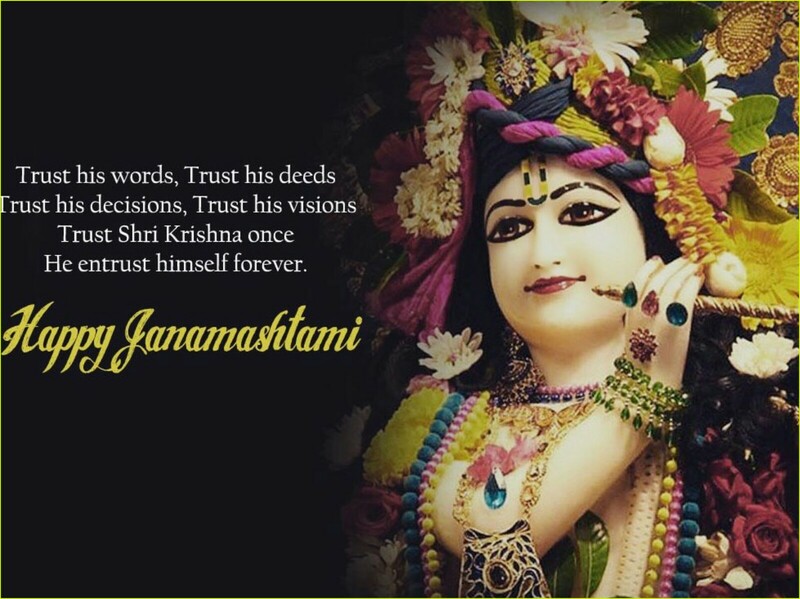 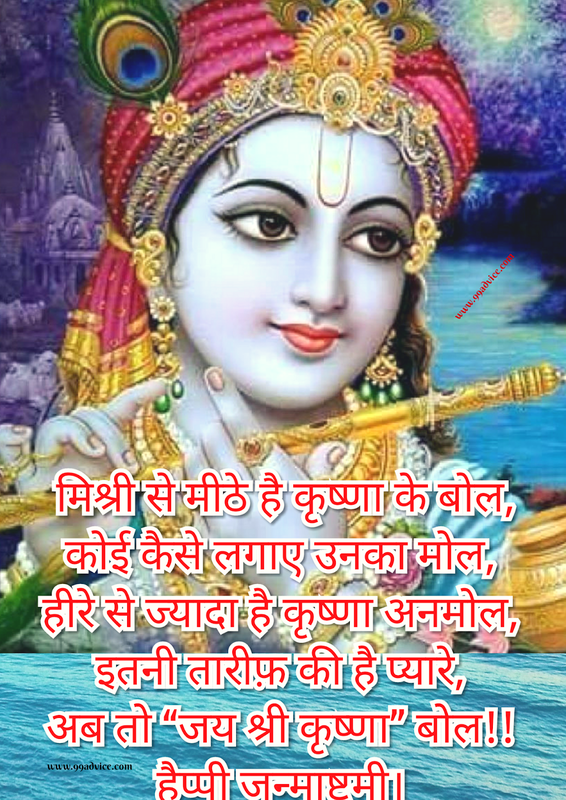 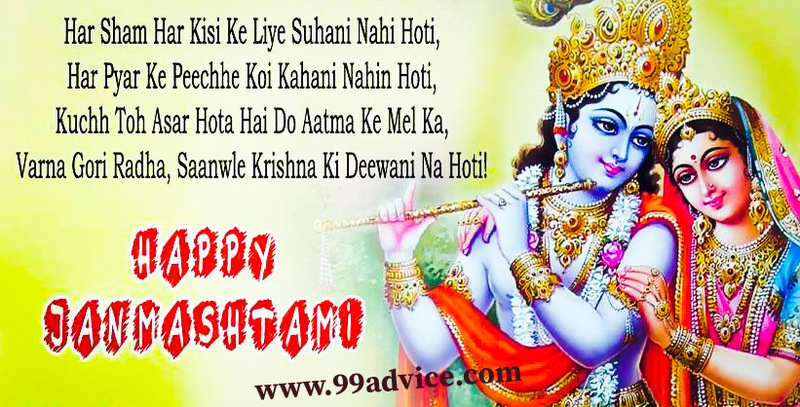 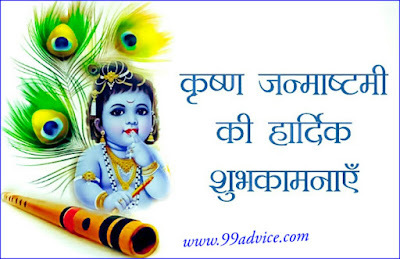 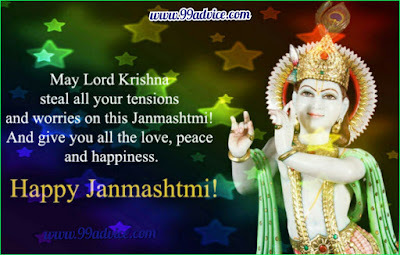 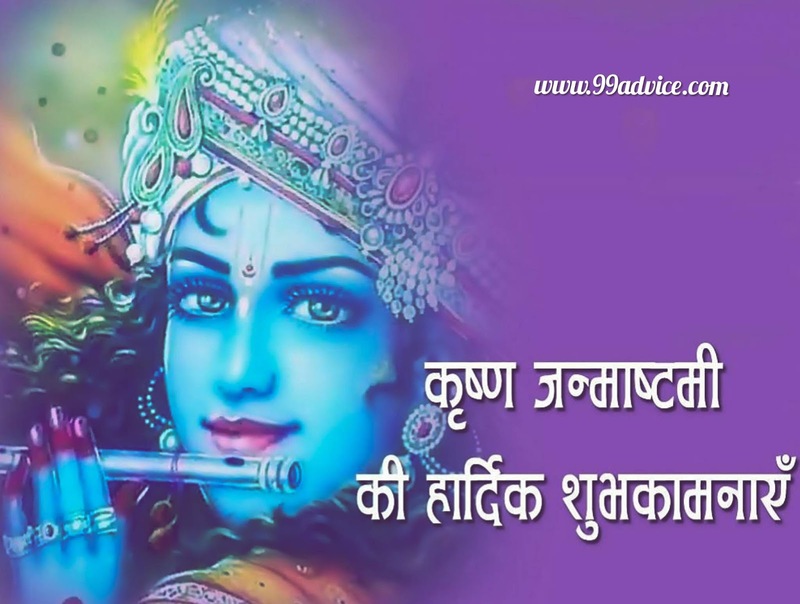 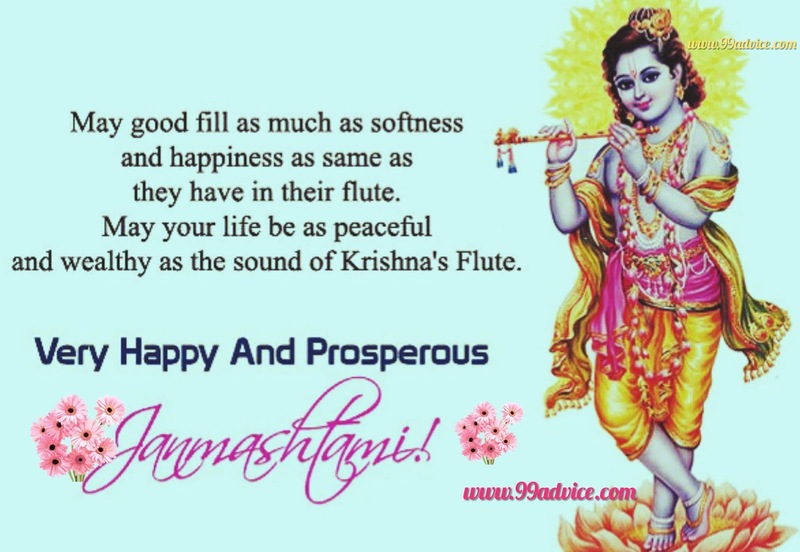 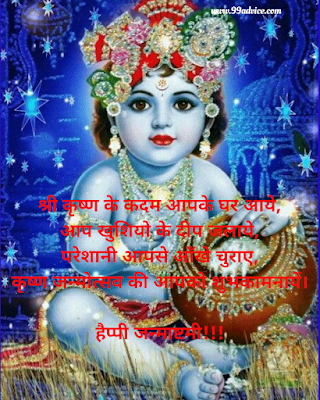 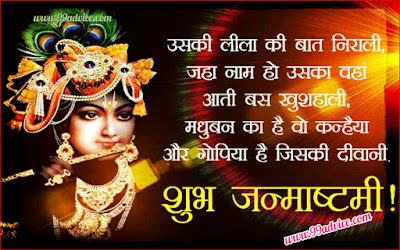 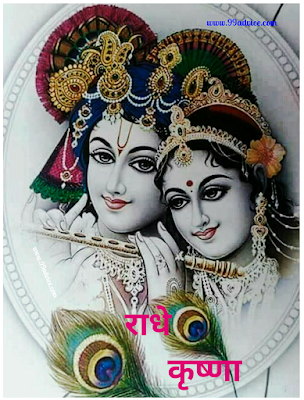 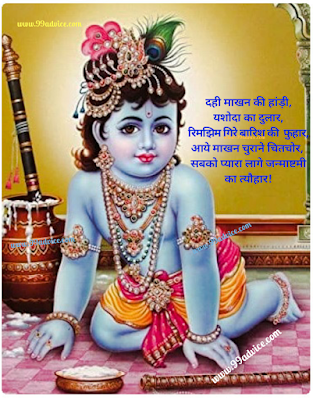 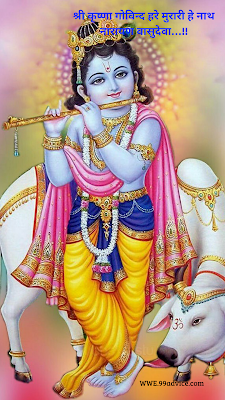 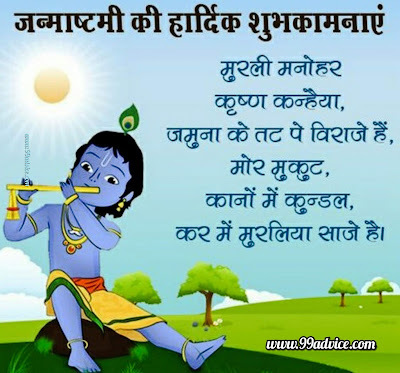 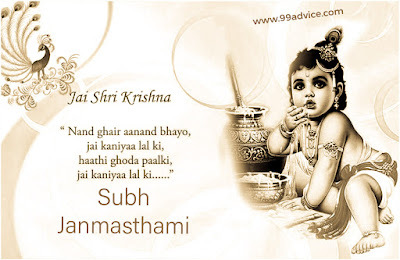 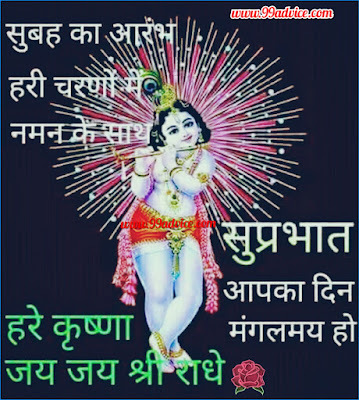 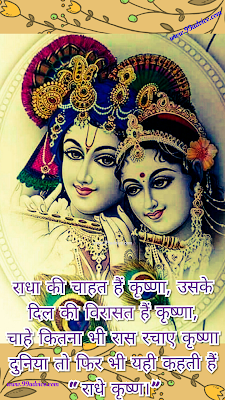 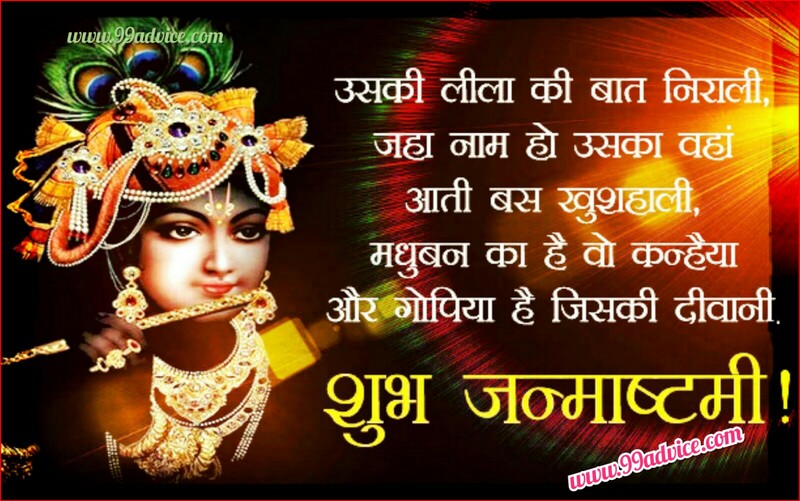 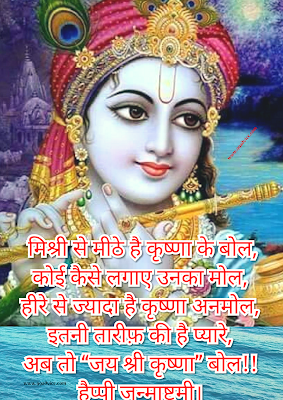 Then I have something great for you, here are the excellent Sri Krishna Janmashtami Wishes, so that you can wish your friends and family member with pleasure. 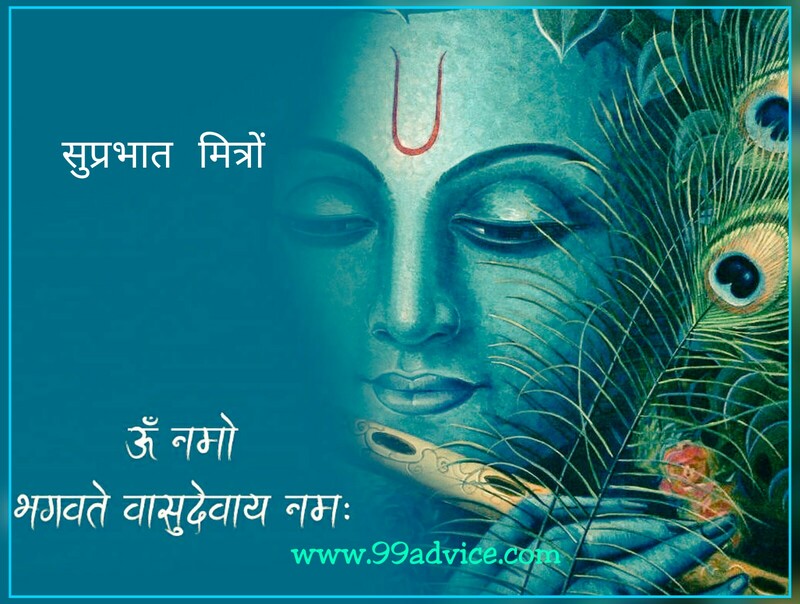 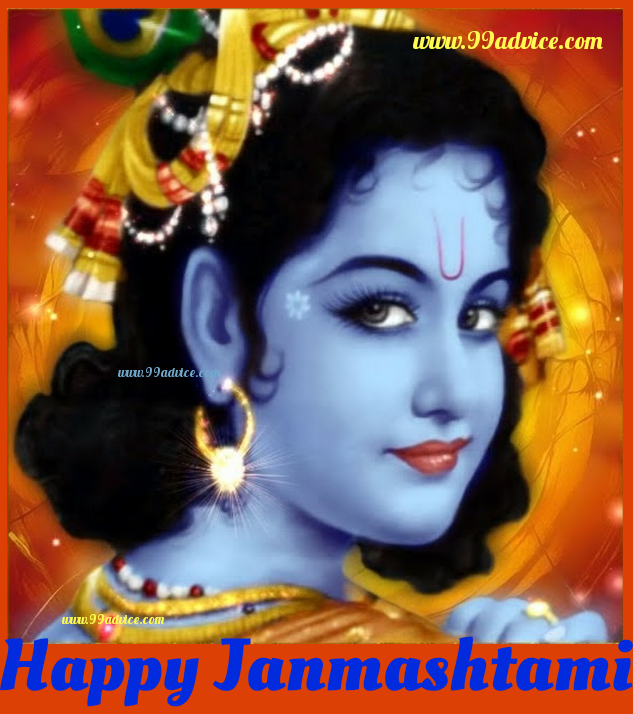 Happy Janmashtami Wishes also helps people to understand the significance of this great occasion in our life. 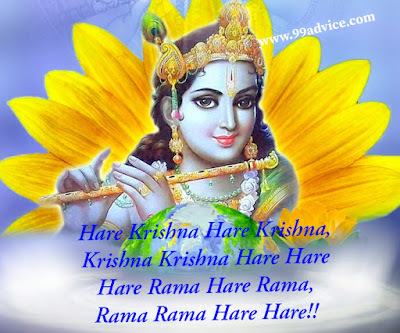 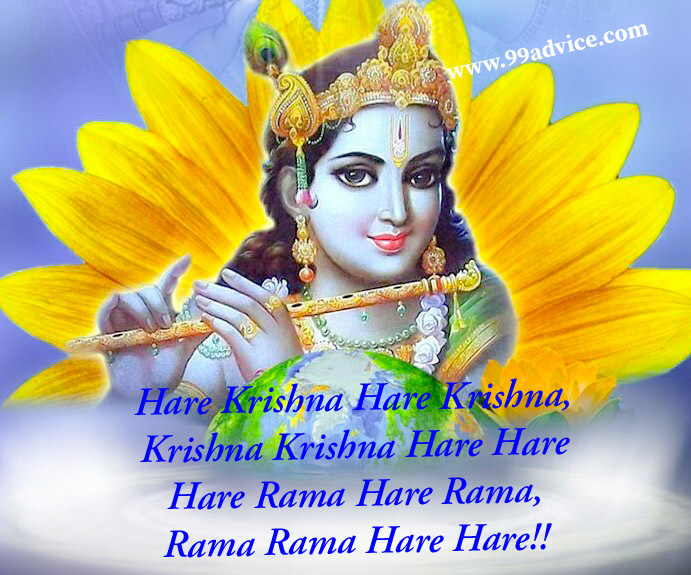 ‘Hare Krishna Hare Krishna, Krishna Krishna Hare Hare’ slogans will be heard everywhere on this holy day. 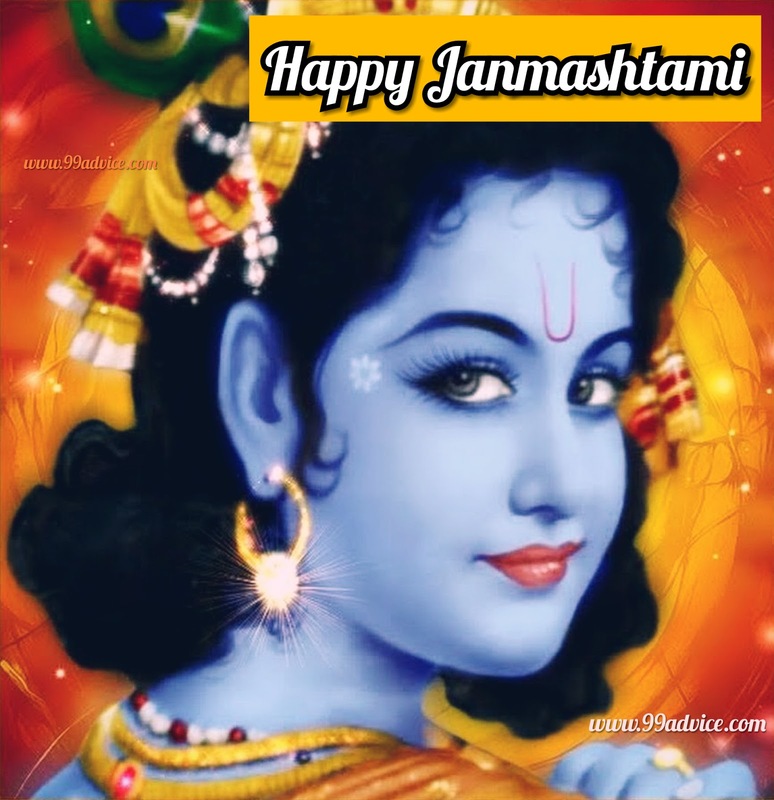 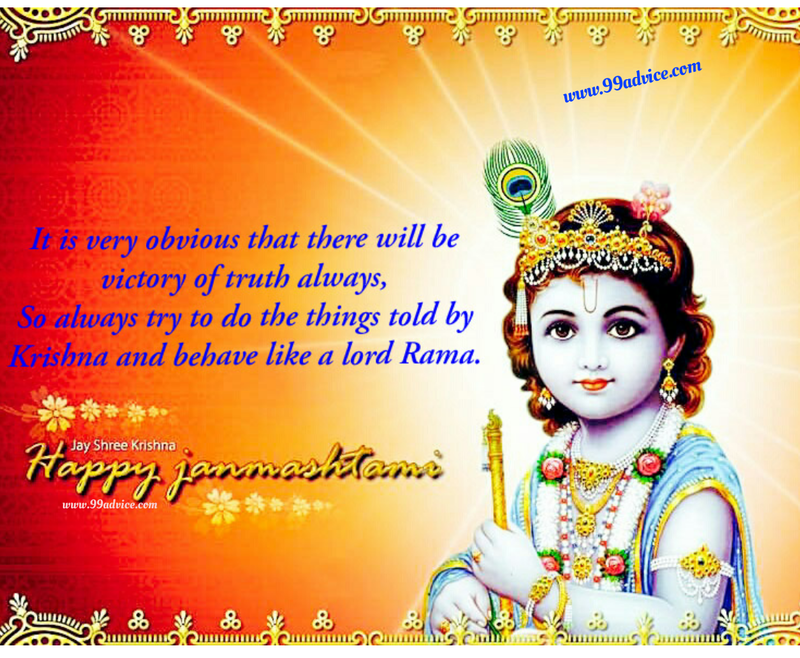 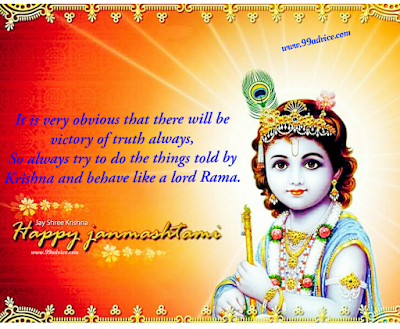 Janmashtami quotes are extremely adorable and special to express the feeling of holiness and joy in this occasion. Celebrate the auspicious day of 'Krishna Janmashtami' with your friends and family by wishing them Happy Janmashtami! 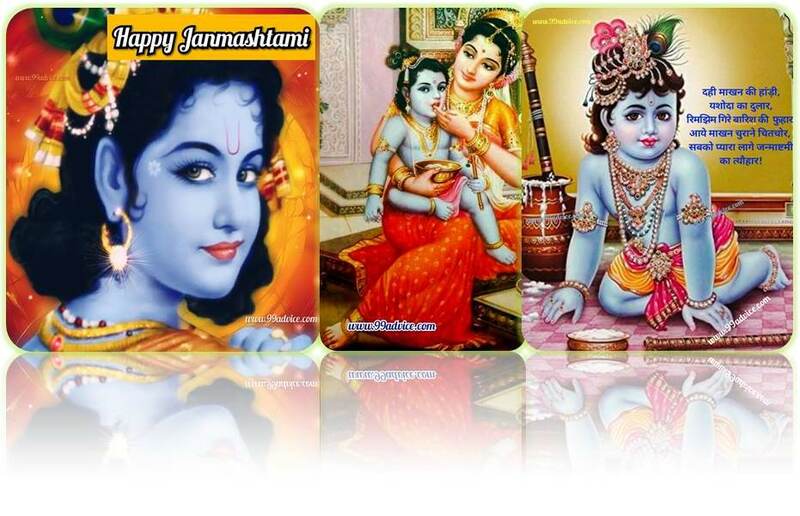 Share and Spread the message of love on the birth anniversary of Lord Krishna with these on mobiles, Facebook, Whatsapp, Twitter, Lime, Instagram, Pinterest and various other mediums of communication. 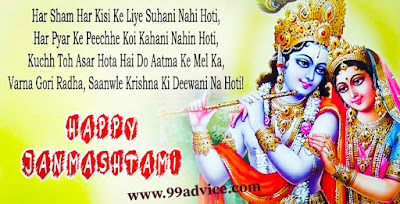 Download them from the list specified here and enjoy the festival.